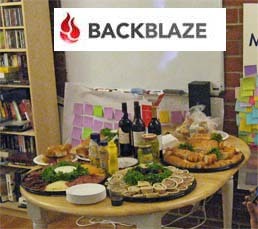 On Thursday, 12/11/08 Backblaze celebrated a successful year including a Windows client, a Macintosh client, thousands of customers, good profitability, and an expanded hiring program including our new VP of sales Nilay Patel and a lead Macintosh project lead Damon Uyeda. 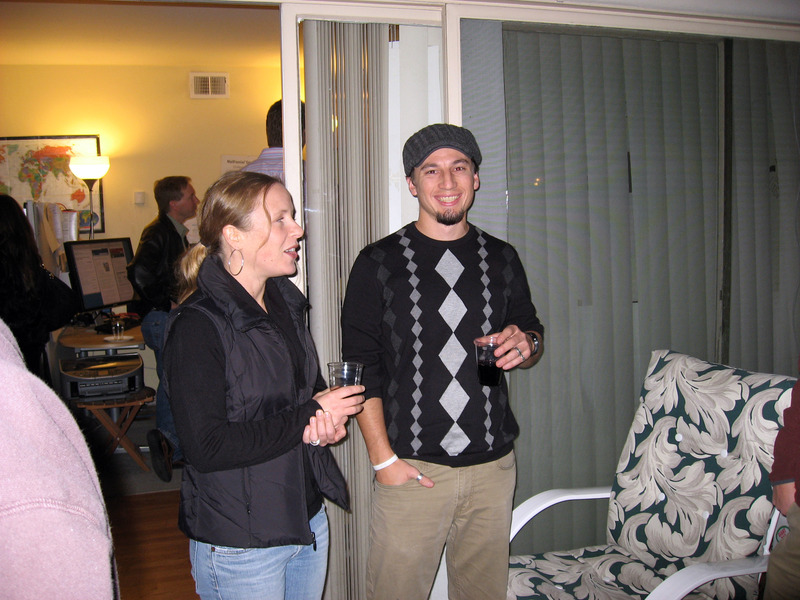 Below are some pictures from the 2008 holiday party. 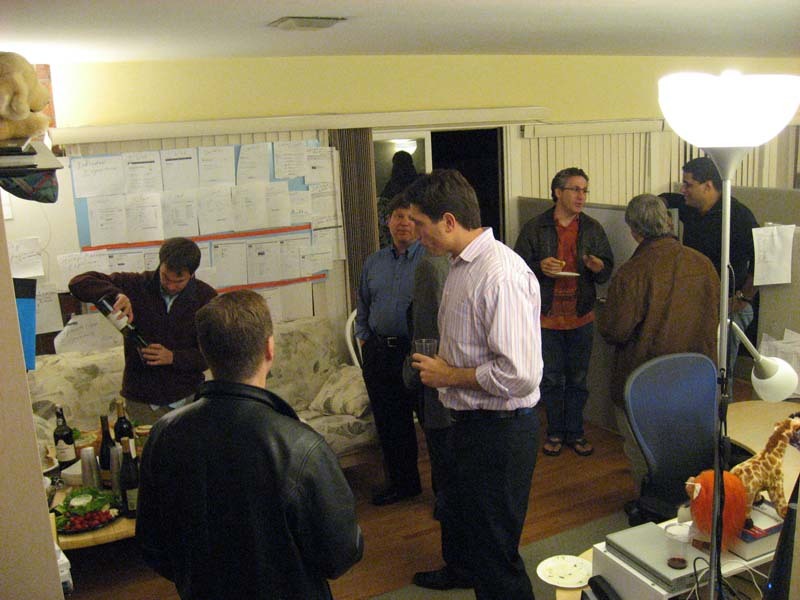 The office right before the party as we setup some food and wine on the conference table for our guests. As the first guest arrives, Gleb talks with Nilay Patel (our new VP of Sales) near the table of snacks. Devu Patel is sitting down behind Gleb. 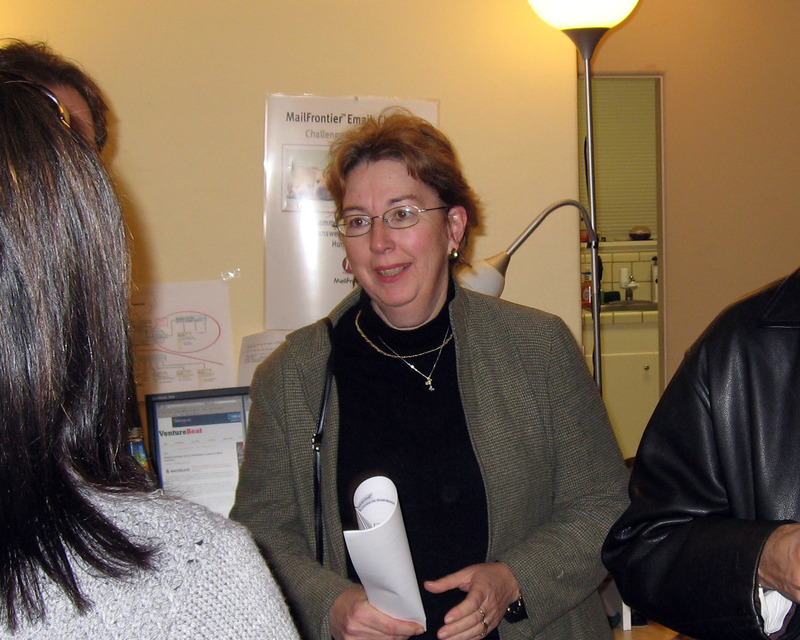 Guests mingling. That JJ Furman pouring some wine. 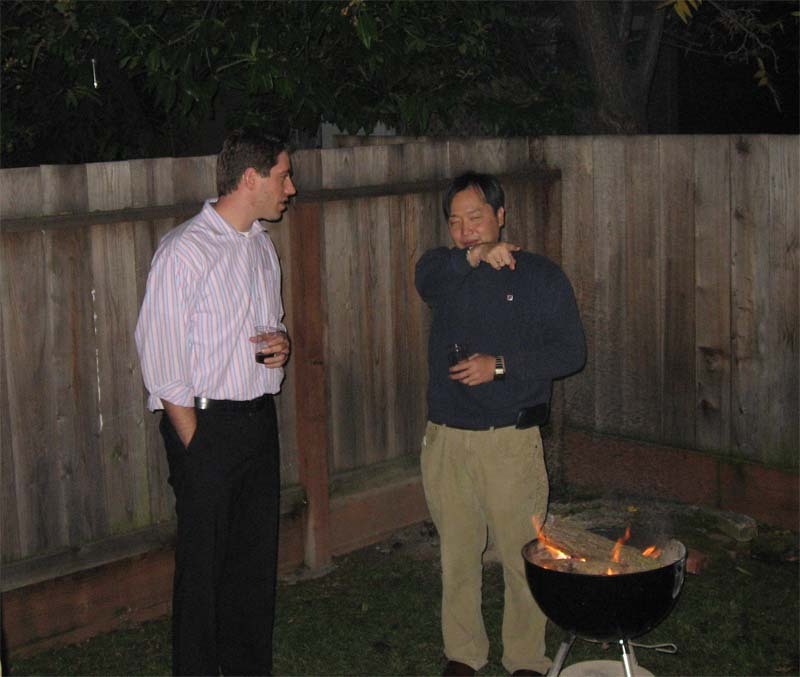 Jim Lubinsky on the left talking with Hitoshi Hokamura. Eric Hawkes in striped shirt, Katia Bloom, and Ashmeet Sidana on the far right. 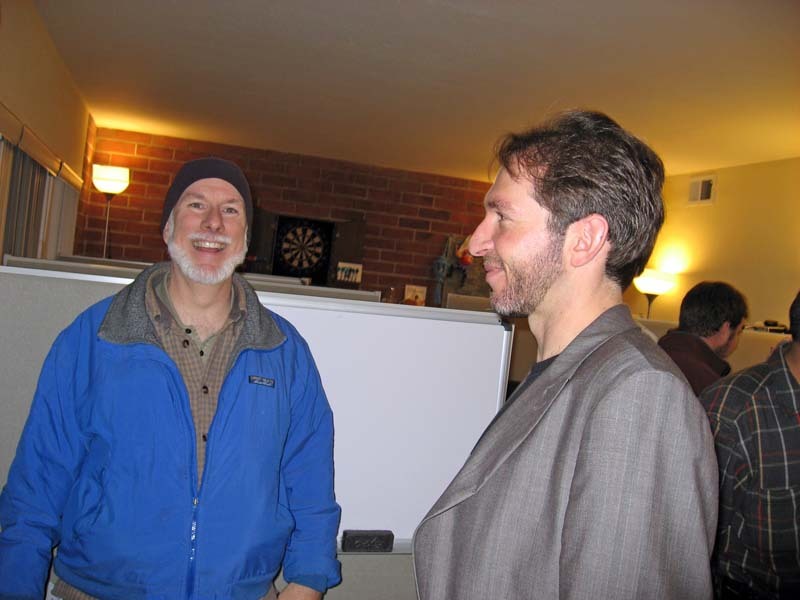 King Billy (one of the Backblaze founders) talking with a guest. 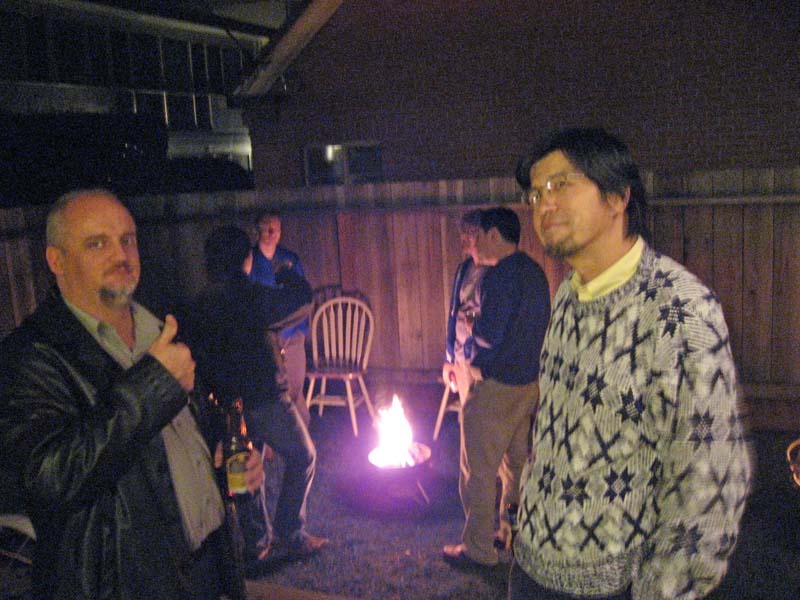 Billy Ng is in the dark shirt closer to the fire. 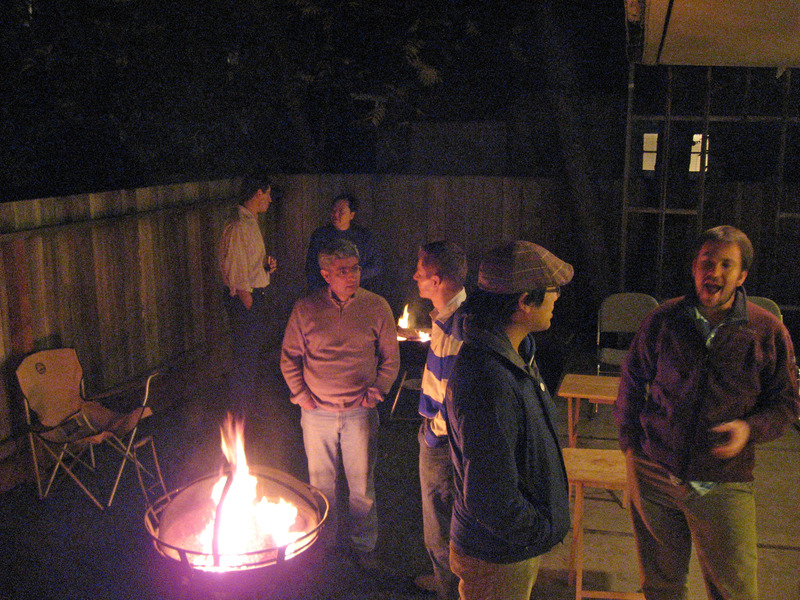 Guests gathering in the courtyard around the fire pits. 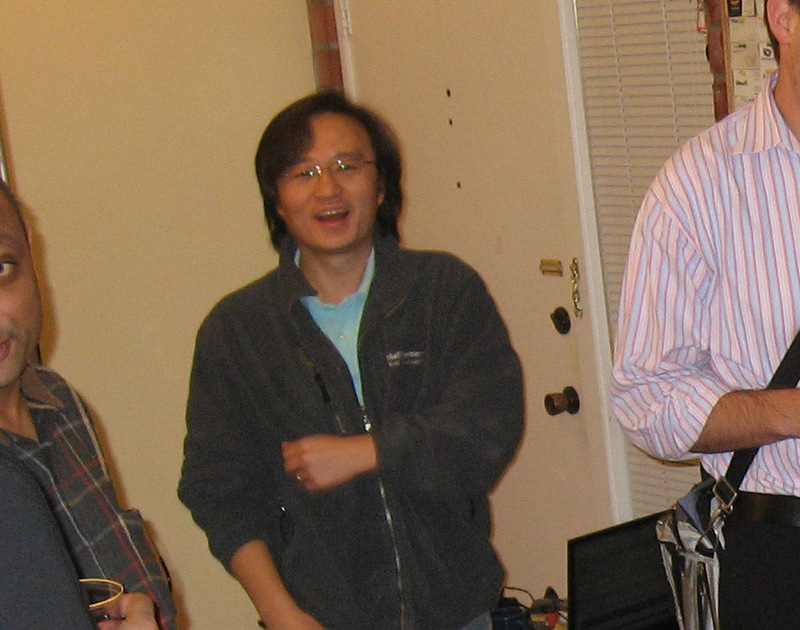 That's Damon Uyeda in the hat nearest to the camera, the Backblaze Macintosh client lead engineer. 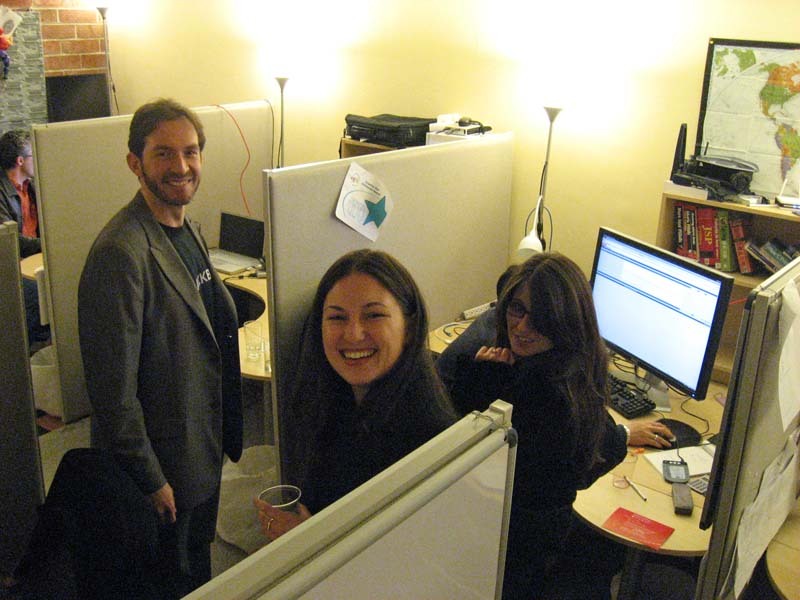 Although a recent addition to Backblaze, Damon has worked with this whole team before at our previous 3 companies. Backblaze's recent Mac beta launch was a huge success and well received by the Mac community in a large part to Damon's excellent work and attention to Mac aesthetic and detail. Bryan Kim shows up! 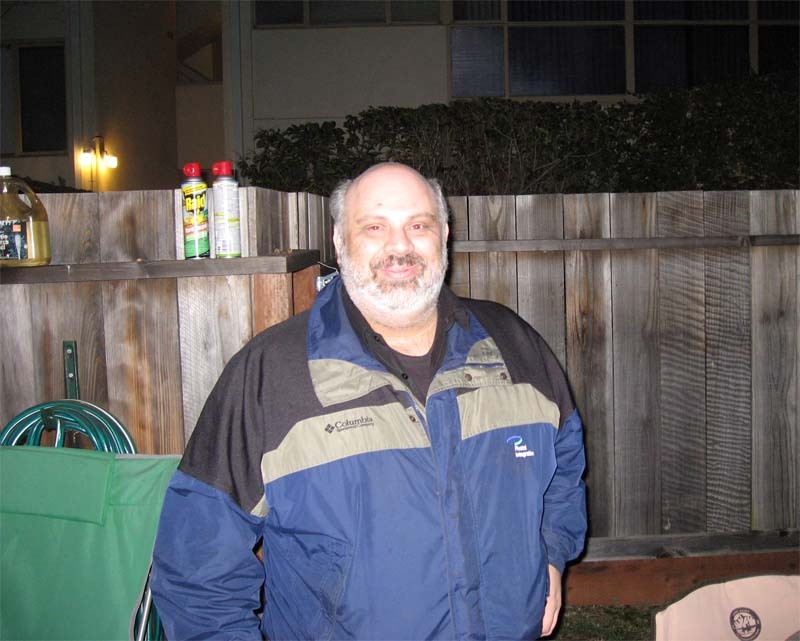 We have worked with Bryan before at several companies. 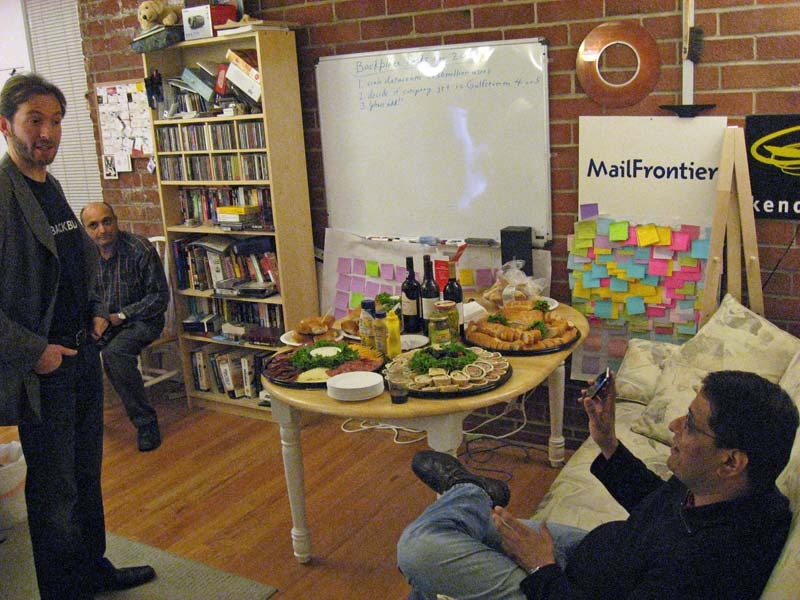 Below is Kris Olson facing the camera, who was head of our QA department at MailFrontier (a previous company). 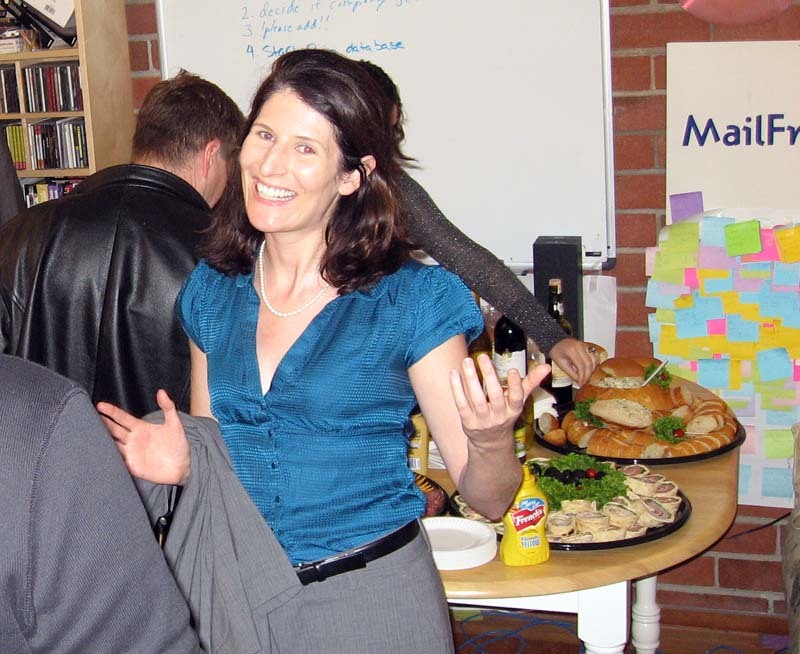 Carrie Thompson with a big smile for the camera. 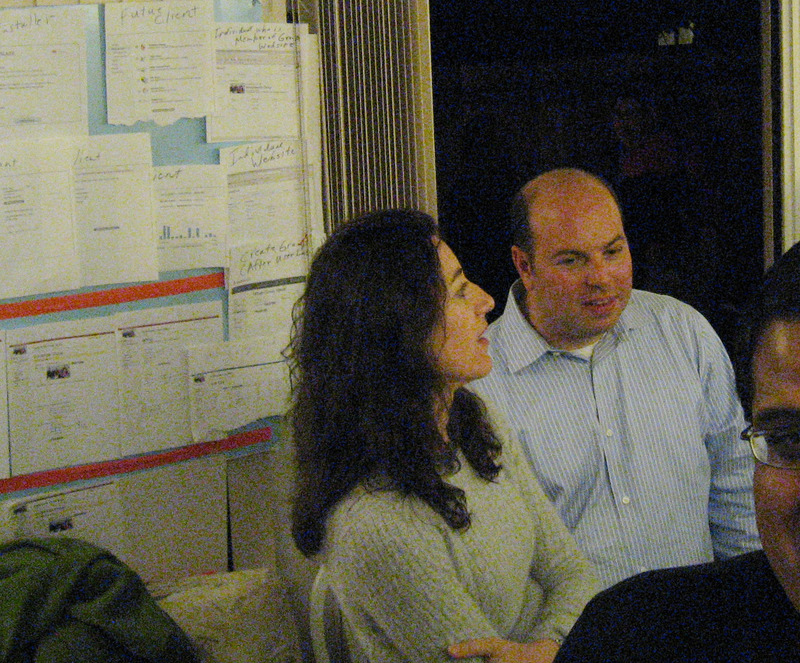 Scott Levitt talking with Gleb. 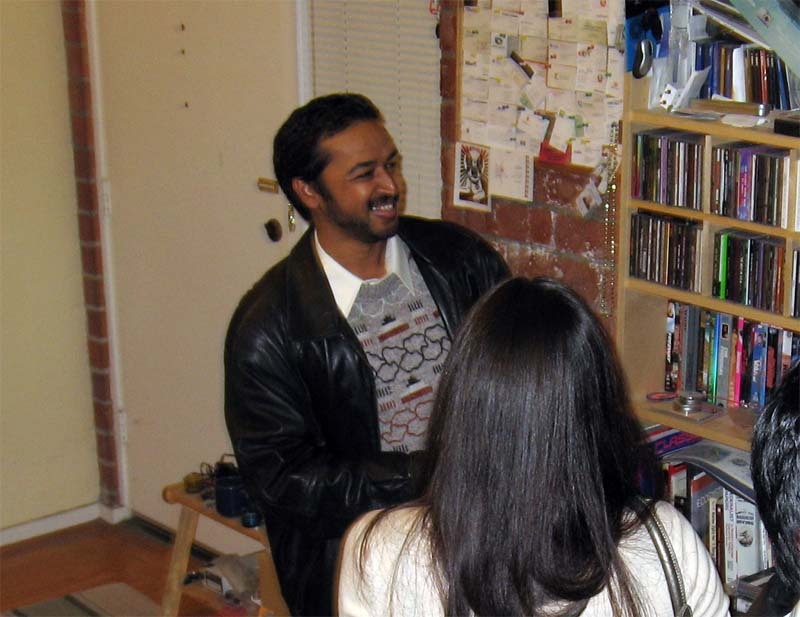 JP Singh smiles for the camera. 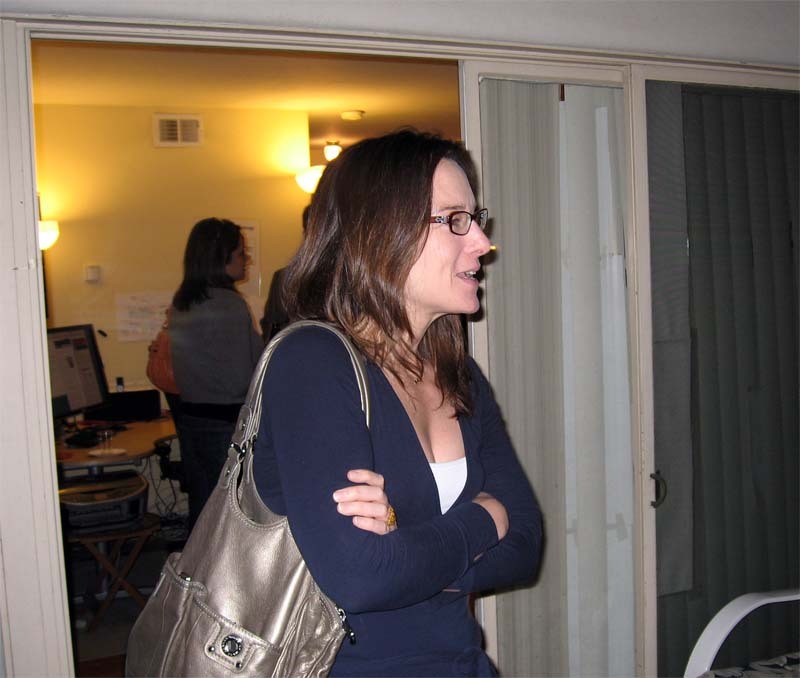 Christine (last name?) 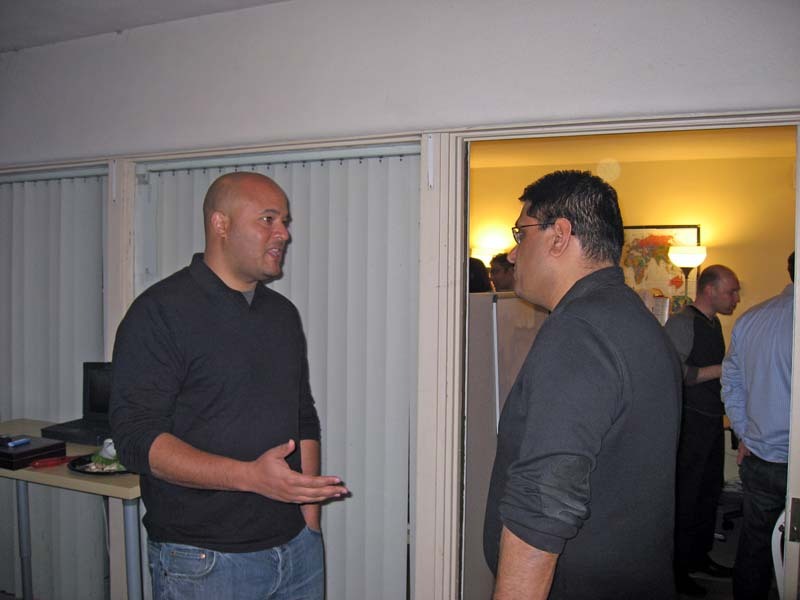 talks with other guests at the Backblaze Holiday Party. Louise Henriksen holding a white paper. 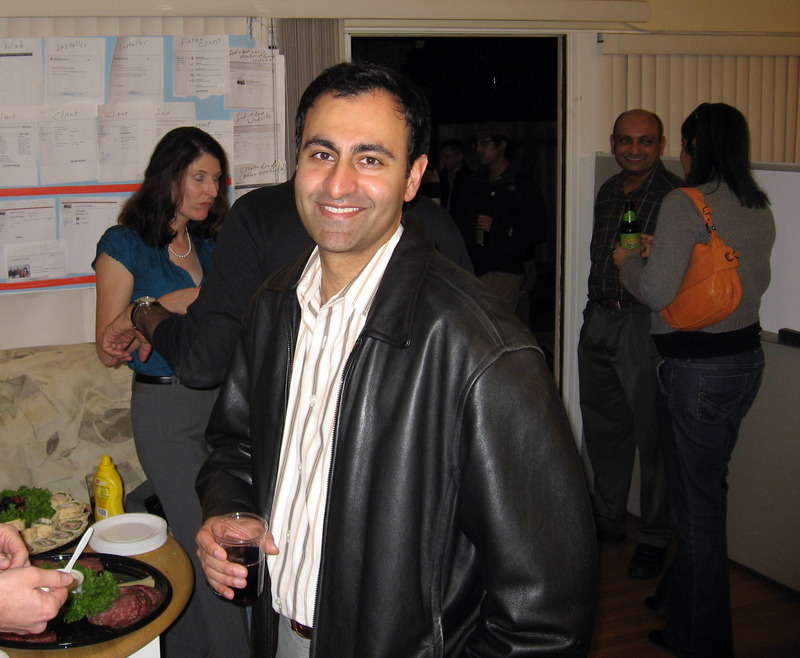 Yusaf worked with us before, and is here to help us celebrate the excellent past year. 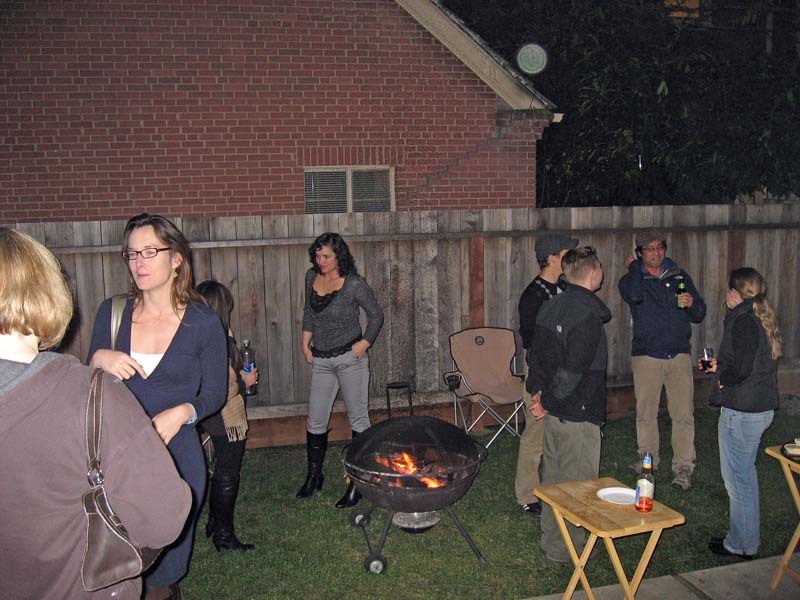 Guests gathered in the office courtyard around the fire pits. 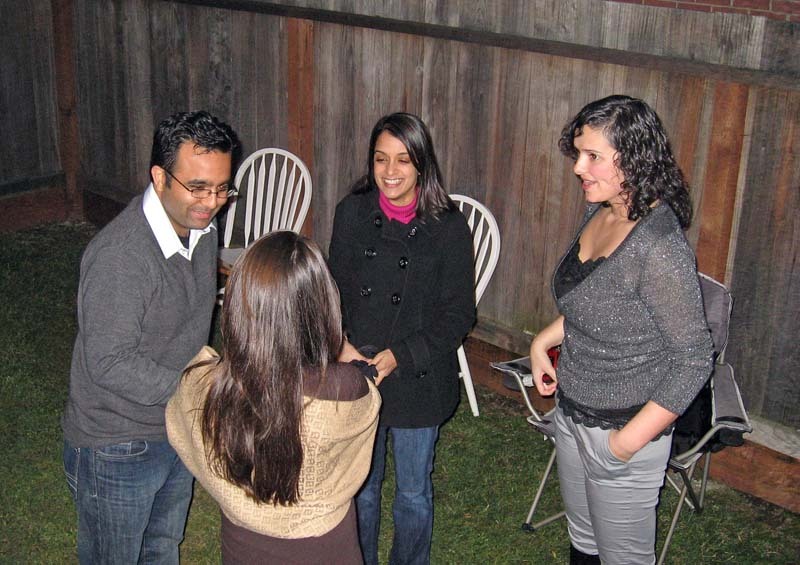 Sandeep Shrimali on the far left and his wife Bina in the purple turtleneck talking with guests. 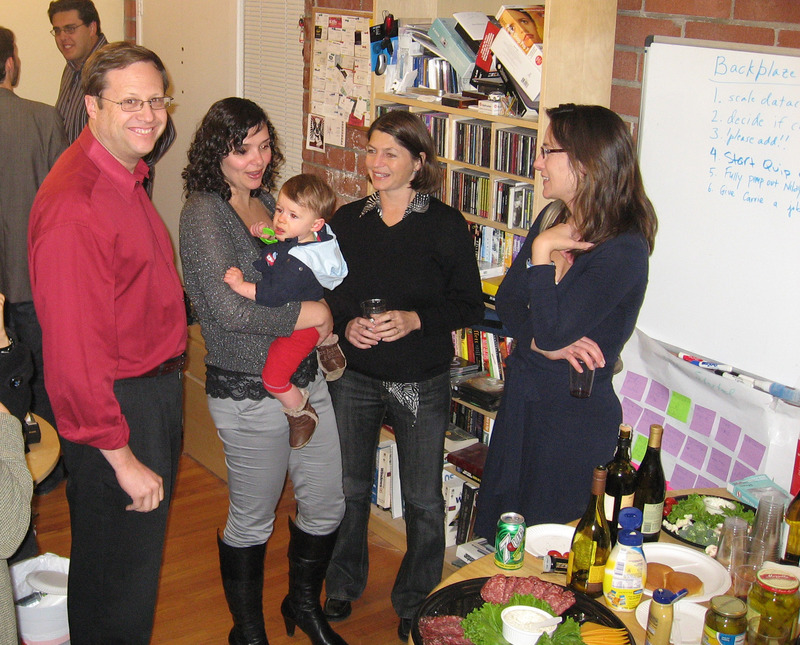 Steve, Katia (holding Alex), Kim Jacobson (Alex's mom), and Christine talking at the party. 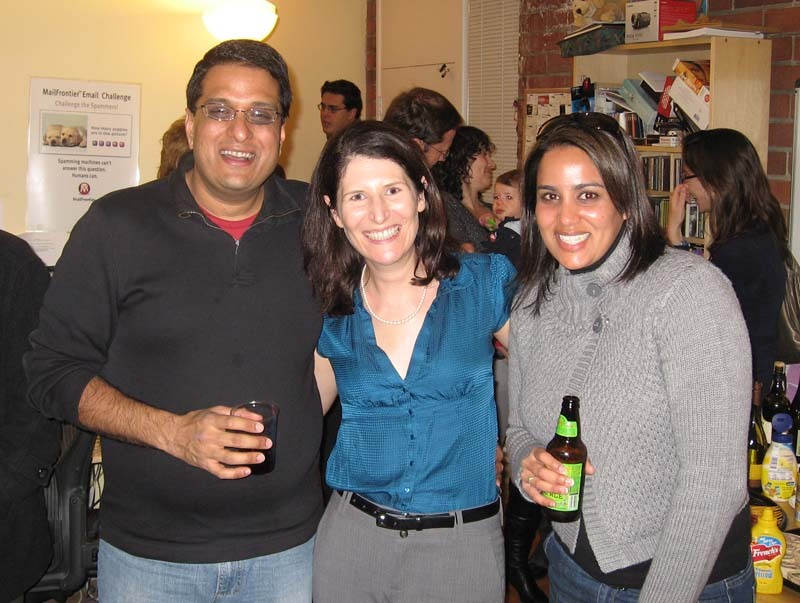 Nilay Patel (VP of Sales at Backblaze), Carrie, and Sona Patel (Nilay's sister who has also worked with us in the past). 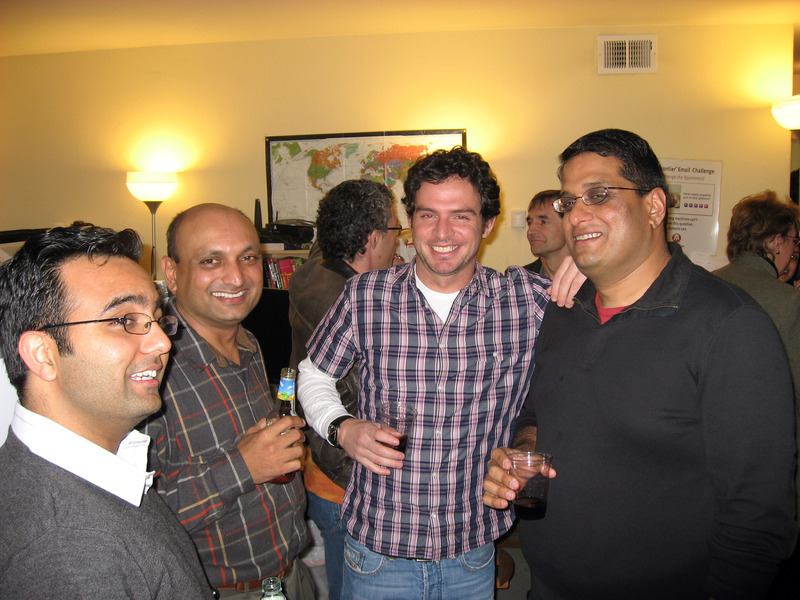 From left to right that is Sandeep, Devu, Yan Budman in the plaid shirt next to Nilay Patel on the far right. Mike Farace shows up fashionably late. 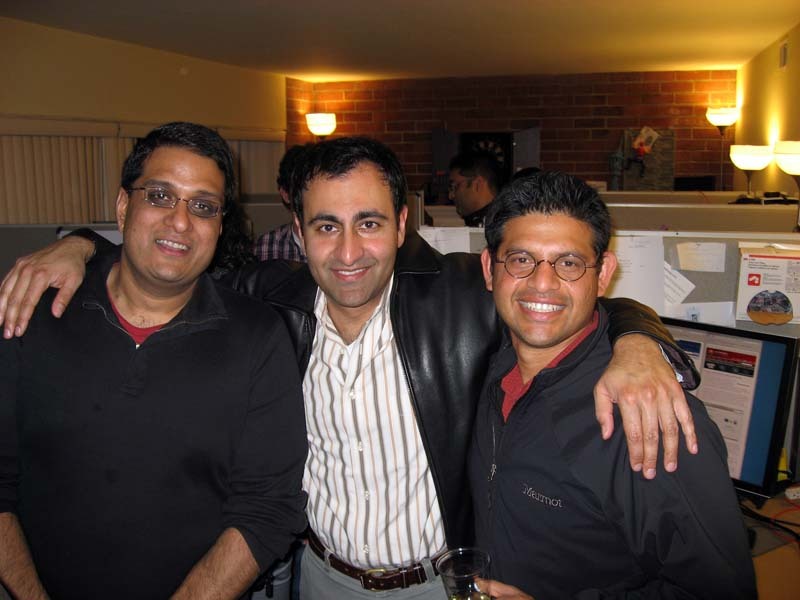 Nilay Patel, JP Singh, Sushant Rao pose for the camera. 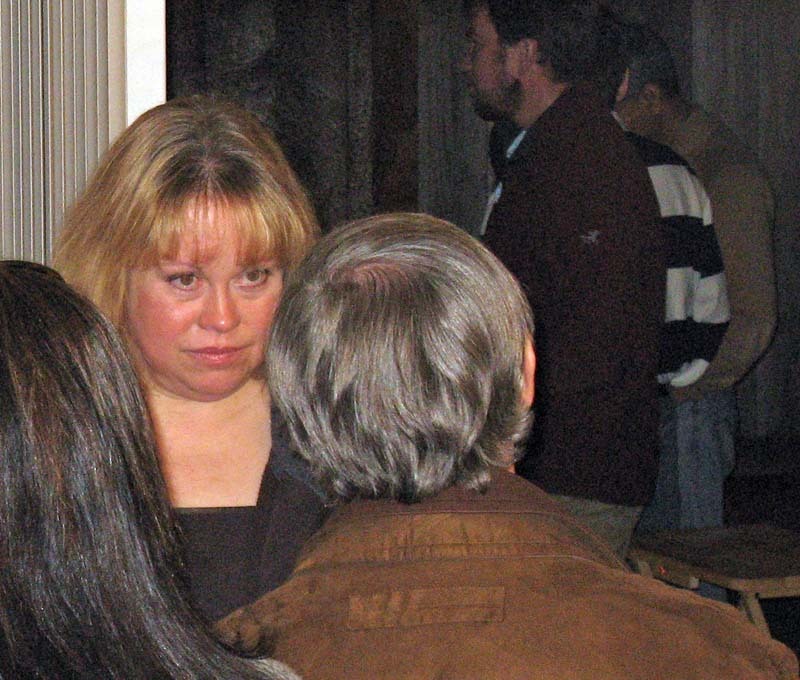 More guests at the party. Jason Knight (who we have worked with before at previous companies) talks with Nilay Patel about marketing and sales strategies.